We finally opened the new Mainstay Caribbean Ltd. office on Monday 3rd March, 2014. The office is locate upstairs at Antigua Yacht Club Marina and is therefore ideally located for ease of access for all visiting yachtsmen and the Marine Trades Association members in Antigua and Barbuda. 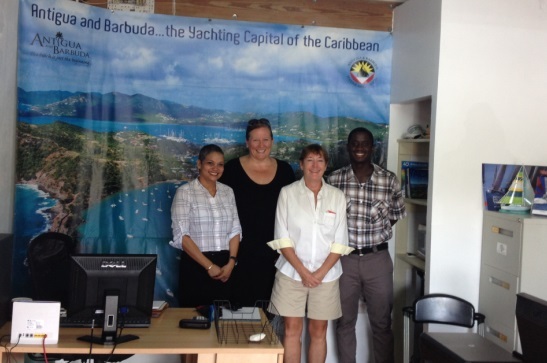 New employees Nadine McDavid and Ari James have joined the business and will be the frontline team for all of our clients including Antigua Sailing Week, the Antigua & Barbuda Marine Association and the Caribbean Sailing Association.